Valve and its hardware partners first started to tease Steam Machines as far back as 2013. In September that year Valve announced it had assembled a Steam Machine prototype. Later in the year hundreds of such machines were shipped to testers and we heard that multiple Steam machines, from vendors such as Alienware, Gigabyte and Zotac, would be on sale in 2014. Unfortunately, if 2014 was the right time to launch, Valve fluffed it up for partners by delaying an official launch to 2015 due to controller designs being unsatisfactory. Partners who had readied hardware ended up having to flog their living room gaming friendly systems with Windows 8.1, or else leave them to age ungracefully with regard to modern gaming demands. It wouldn't be until November 2015 until the official launch of Steam Machines for the mainstream (people who weren't keen enough to pre-order). 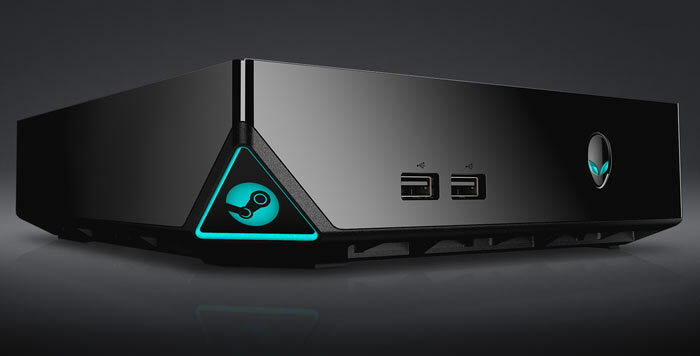 Now it looks like Valve has started to 'reverse-launch' Steam Machines. Head on over to the Steam website and hover your mouse over the light blue top menu. You can see sections for Your Store, Games, Software, Hardware, Videos, and News. 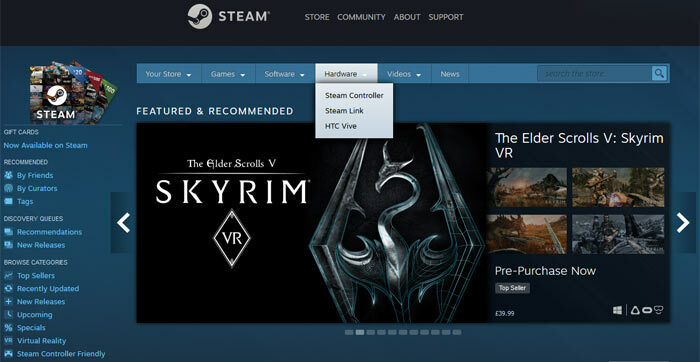 If you hover over the Hardware section you will see just three choices; Steam Controller, Steam Link, and HTC Vive. Steam Machines have seemingly been banished. The above doesn't mean that the Steam Machine pages have been deleted yet. You can still search for 'Steam Machine' via the on page facility and up pop suggestions for the Alienware, Materiel.net, and Scan 3XS ST Steam Machines (here in the UK). Also the category page still exists with all the available Steam Machines briefly outlined upon it. Understandably, there is no official 'reverse-launch' or failure announcement from Valve. The imagined hardware sales boost for Valve, and the related boost for Linux gaming, just never came. It is hard to know the precise root cause of the failure of Steam Machines. Perhaps it was the repeated delays, the price/performance of the machines, the OS/software, or even Valve's own Steam Link hardware making a dedicated living room gaming PC unnecessary.